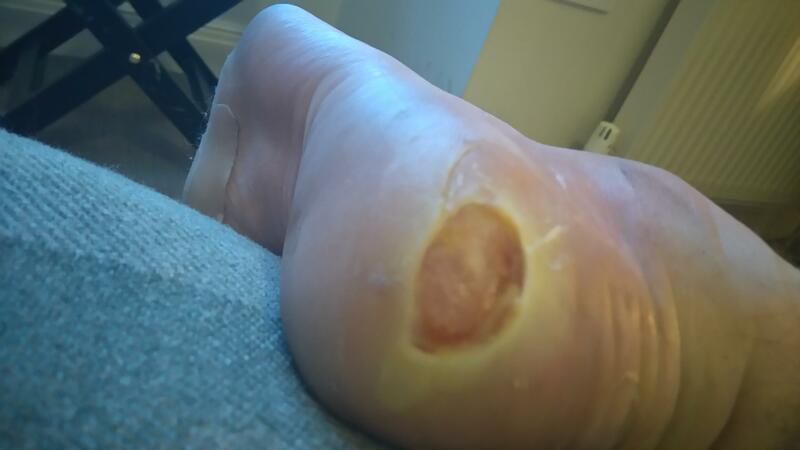 At the moment Richard is walking from Lands End to John O'Groats with very sore feet and sleeping rough to make ends meet to be able to eat and buy plasters for his feet! It is with enormous and grateful thanks to the inter-professional students at this year's 'Can you hear me?' 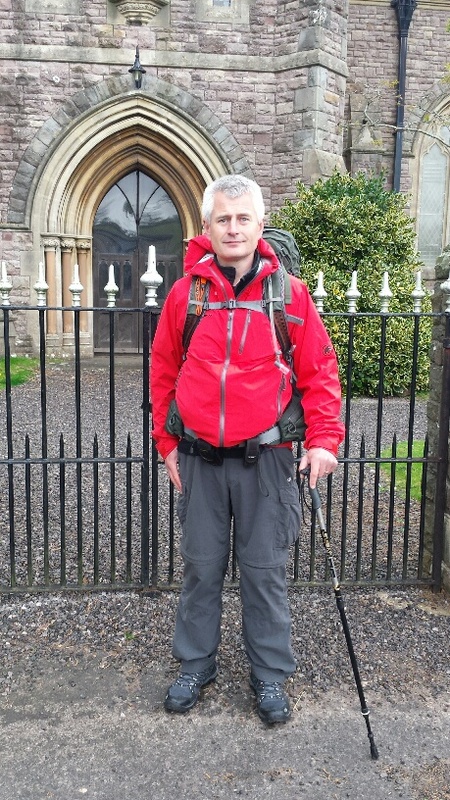 The Service User Conference held at UCSuffolk who kindly donated £364 towards new boots and equipment for Richard who is pulling out all the stops to accomplish his latest mission. 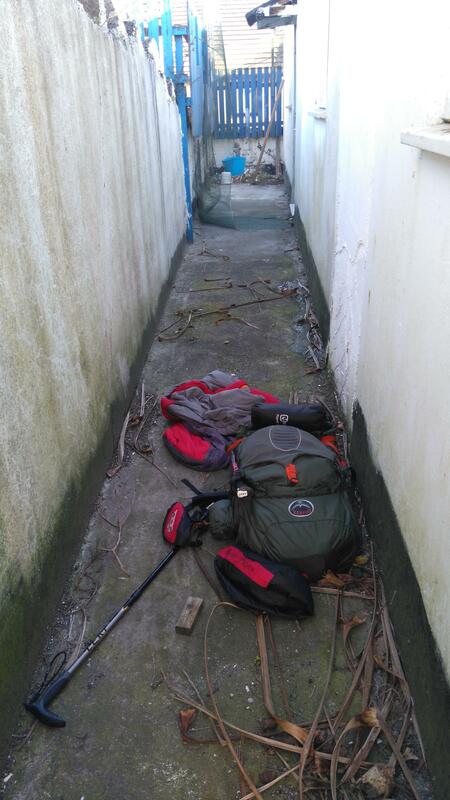 He is now the owner of new walking shoes, ventilated back pack and wet weather gear. 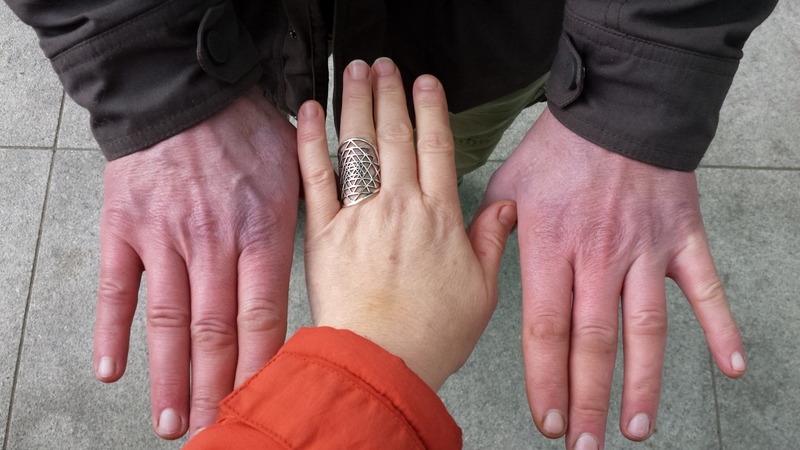 He was, in time for his birthday last week, able to spend some of his new funds on overnight accommodation to give him a proper night's sleep as he has been sleeping rough spending much of what he had on Compeed plasters for his blistered feet! 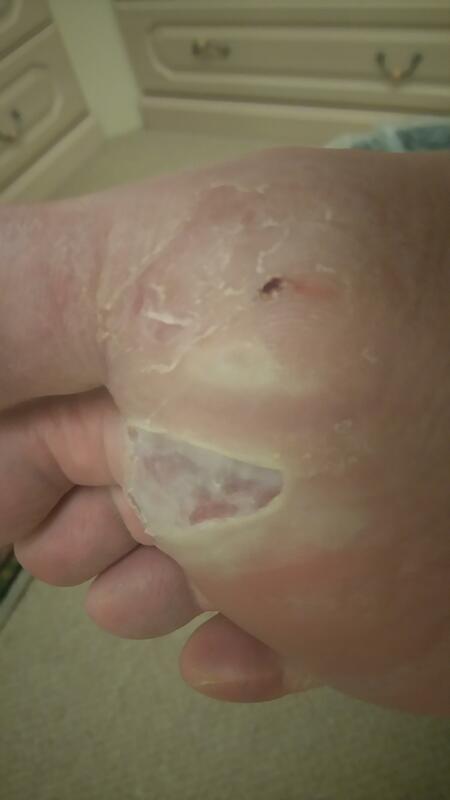 Currently Richard has surpassed 400 miles and still going strong though he has, unsurprisingly, found it incredibly mentally and physically challenging,testing every sinew and shred of his determination and resilience. 'To fail is not an option',he said. If you would like to show your respect for this incredible gentleman's efforts by donating either towards his personal needs or on his behalf to UNICEF then please follow the links at the bottom of this page. 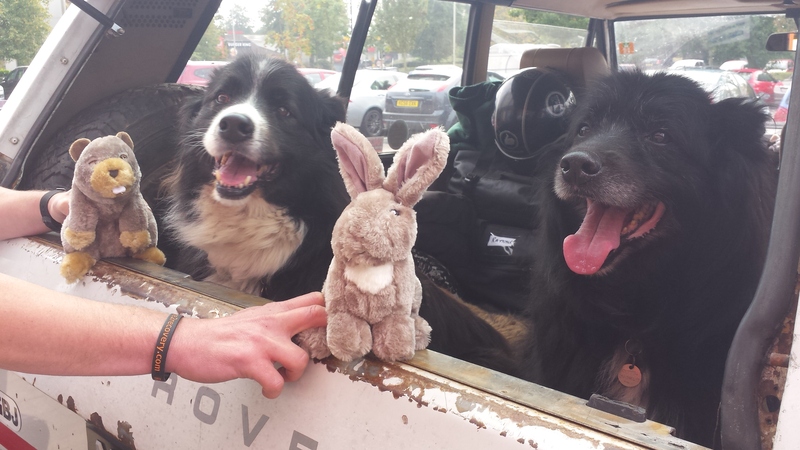 A crowdfunding page has been set up to raise funds for Richard to have his own motorhome so he can have his beloved dogs live with him in his own space. 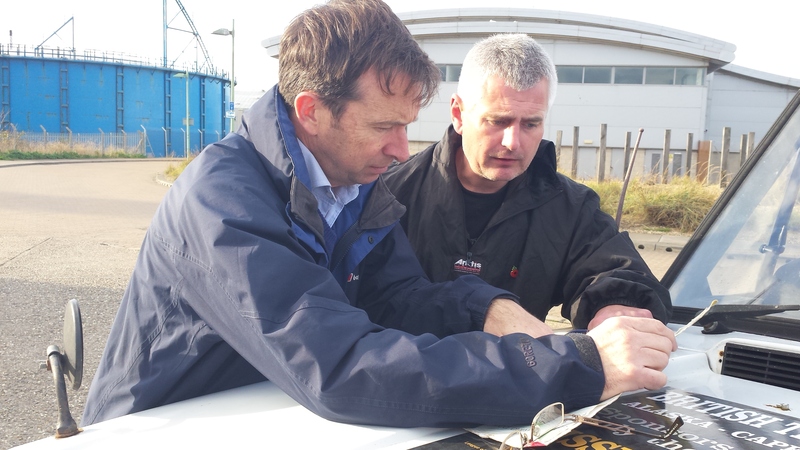 A suitable vehicle has been found but need to raise the £10k funds asap! 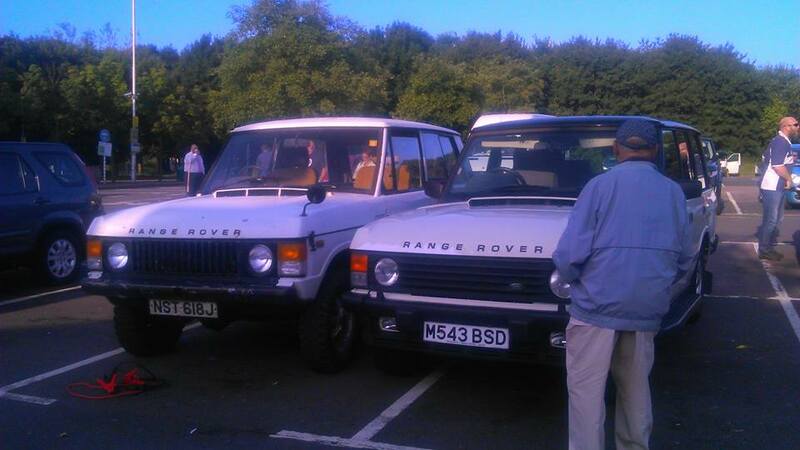 in a 1970 Range Rover called "Pearl"
My quest in making a positive difference comes after my own life changing experiences and circumstances during and after many earthquakes in New Zealand where I had been living for the previous 10 years. After getting injured whilst searching for survivors as part of Urban Search and Rescue I was flown back to England to recover, never seeing my wife, pets and a life I loved again. 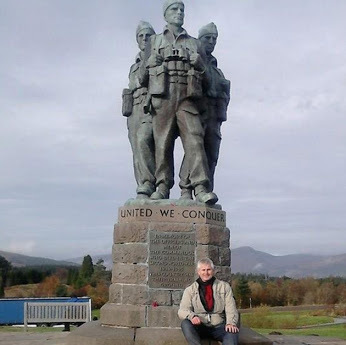 Unable to travel 12000 miles and 30 hours on a plane back to New Zealand while battling injuries, post traumatic stress disorder, depression, chronic pain and as a result losing everything I held dear. The last 5 years have been a challenging rollercoaster to say the least. I've slept on the streets while pennyless and homeless with limited help and support if any. 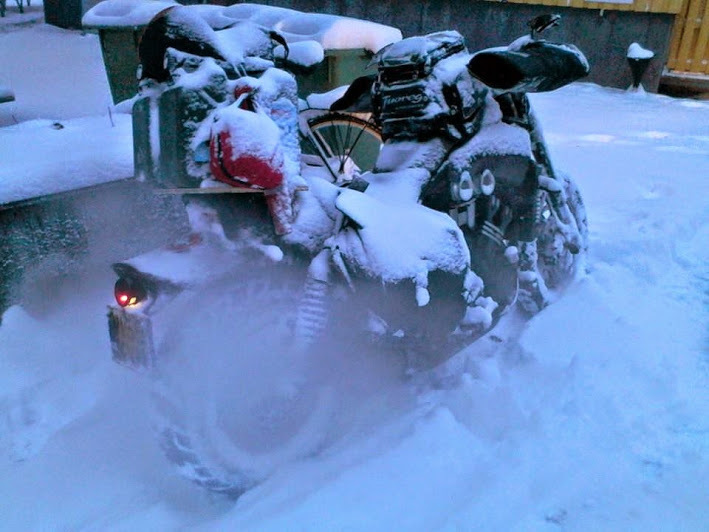 With increasing self determination and still battling low confidence I pushed myself to ride my Yamaha V-Max to the Arctic Circle winter 2014 returning mid February 2015 for charity. I returned homeless with £10 to my name. A situation I would not wish on any living being. The uncertanty was overwhelming. My motto became:'If I can believe it I can achieve it'. But I need your help myself in order to help many others who deserve it. 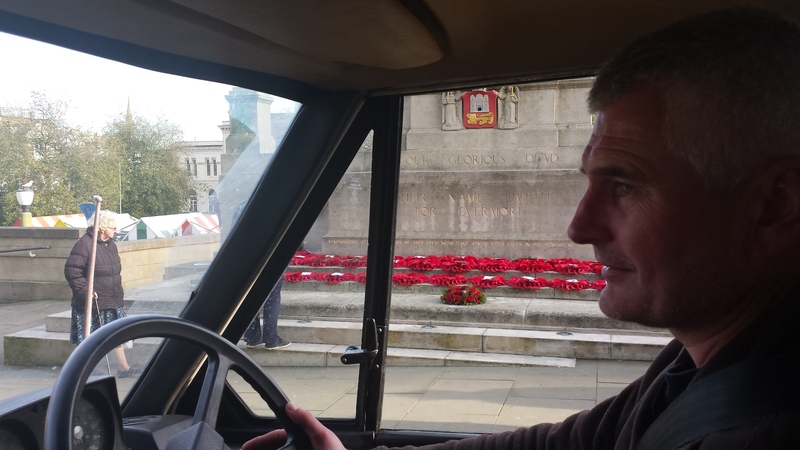 I plan to drive across Europe, including France, down the West Africa to Cape Town then up East Africa across the Middle East, Far East including India to Nepal then onto New Zealand before returning to the UK. The return trip may take 4 months depending on funds and conditions. I need financial support to help me buy visas,antimalarial meds, inoculations, equipment,food and fuel en-route. Your contribution no matter how large or small will be greatly appreciated. I will be selling the Triumph Tiger Wolverhampton Triumph UK helped me purchase with a discount, to raise funds for the project. £1500 modifications to date new suspension tyres wheels etc. £20 Two different international driving licences.Purchased and received. Months of planning, printing, hundreds of emails and printing costs. I have only bought myself better gloves and goggles but will drive in all my old gear that is battered from extreme use. Whether your kind donation is enough to buy me some food or fill my tank with fuel or help me to purchase a tent to sleep in or towards a booster vaccine, every donation given will enable me to ride in order to raise funds for UNICEF and The Royal Foundation,raising money for victims of natural disasters and helping poverty stricken children around the world. My wish is also to inspire others in finding purpose,self belief,courage,grit and determination after disaster. 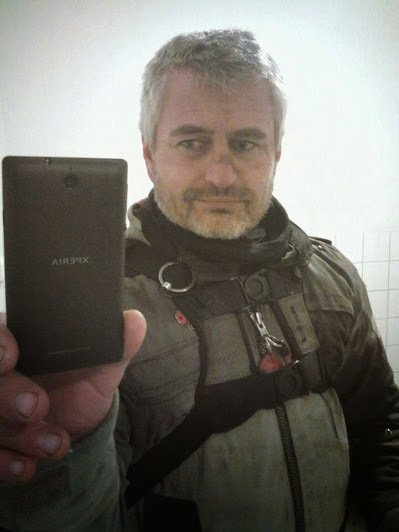 More planning, organisation of motorbike, equipment, website, printing etc,am needing a to buy a GPS phone GoPro camera,an iPad or similar to document, communicate and blog. 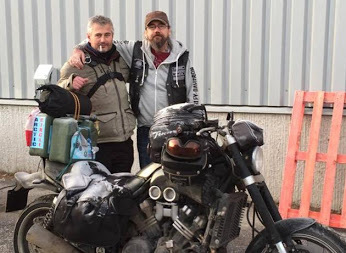 This is a massive undertaking solo with little to no funds available except via fundraising.Think of the long way round motorcycle or TV filmed vehicular trip with unlimited funds, large team and big coverage, sponsorship and support and imagine what I am trying to achieve on my own.No donation is too small. If donating equipment please check first as prefer monetary donations to avoid duplication and unnecessary delays. Thankyou. Please feel free to share amongst your friends and anyone you feel would be interested in helping me achieve my goal and making a difference in this world. 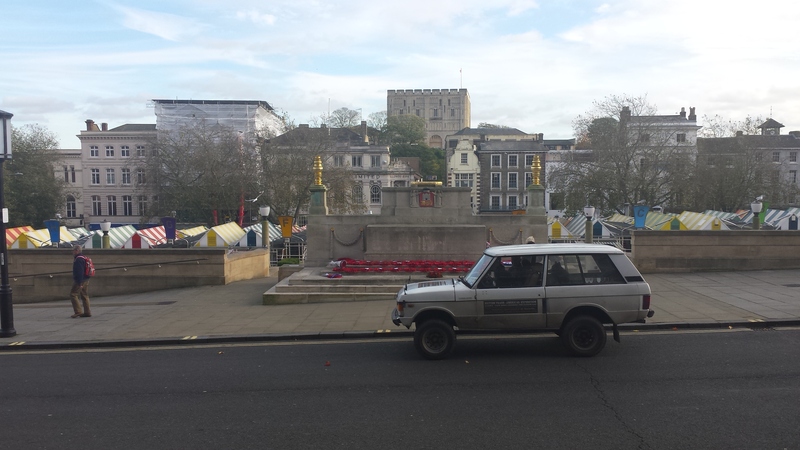 at 10.47 am on the 11th November. Phew that was close! Thank you to the kind donors who saved us when funds ran out and I was living off tins and the dogs had enough food for a bit longer. 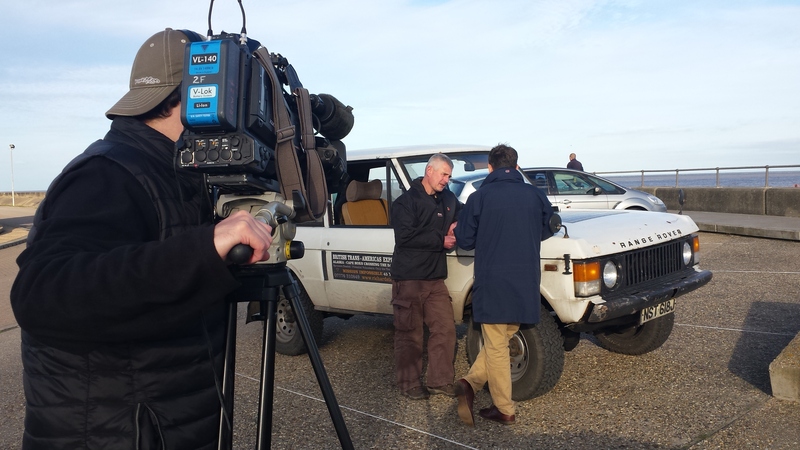 BBC Look East Filmed an interview that afternoon which was shown on prime time TV and thanks to Alex Dunlop and cameraman Joe for that. The trip took 38 days and nearly 6000 miles. Yet to total everything up accurately but will do so. So having had a bit of a breather it's time to get up again. People ask me why I don't just get a 'proper job'. Well anyone who knows what it is like to suffer with extreme post traumatic stress disorder (PTSD) will be aware of the ill effects restrictions like routine and constriction that regular life demands of you suppresses your creativity,and is detrimental to recovery. Although I am surviving on next to nothing and not exactly thriving at present, I feel that for me to recover and live life fully I must push myself hard to follow my dreams first. A 9to5 wage, restricted to working for someone else is not for me but may be okay for someone else.How can a seed grow out of darkness without light? So what am I up to next? Well .. 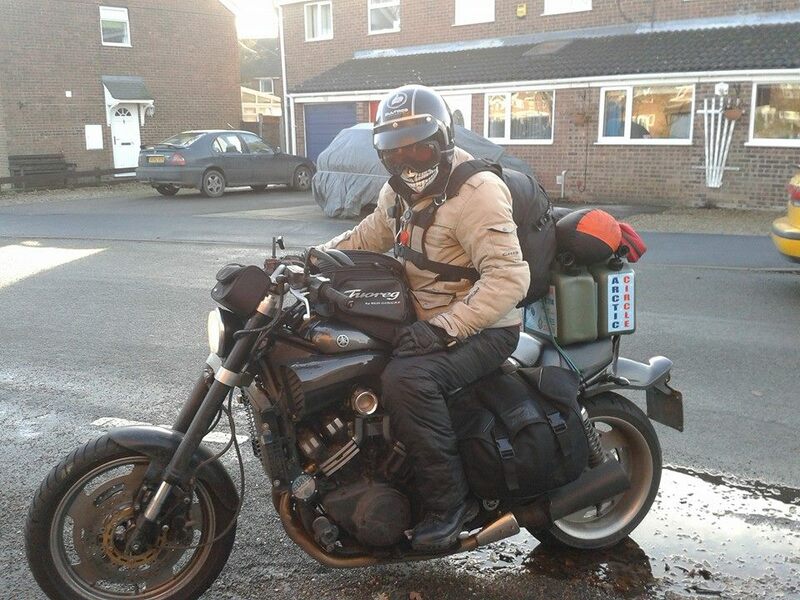 I had been planning to ride my Triumph Tiger to Nepal but after riding round the UK I have decided that due to chronic back pain,persistent sciatica in both legs and brachial plexus tears in both shoulders,and a disfigured clavicle, I am better off driving than riding. 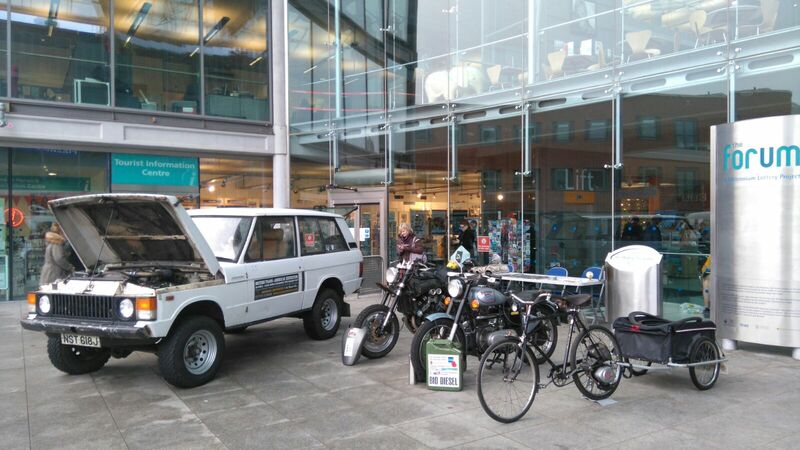 The Triumph Tiger will be sold to raise further vital funds to prep the Range Rover for this arduous solo trip. The trip I am now planning will include Nepal as am raising funds for UNICEF and The Royal Foundation as previously planned.All preparations so far will continue to be of aid to this project. 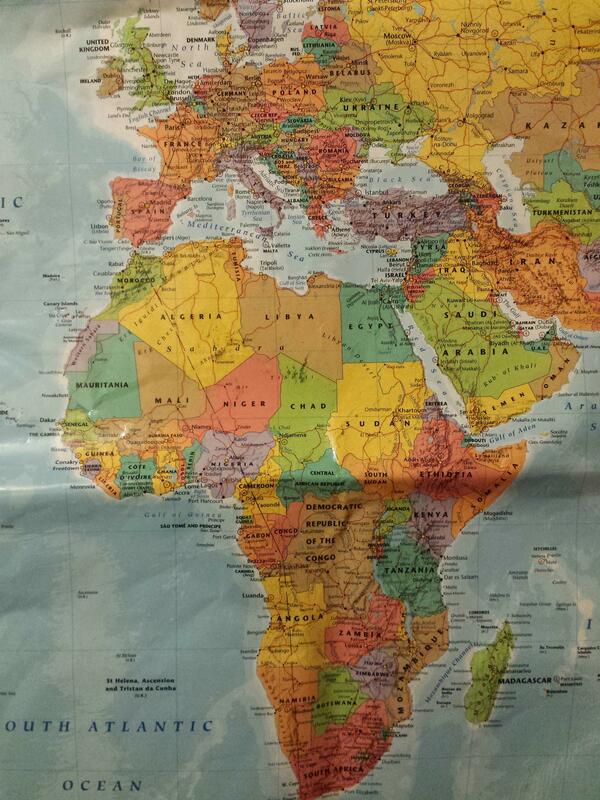 The difference is that I have decided to drive from UK through Europe round Africa calling in at Outreach posts and up through the Middle East, Far East and then down to Australia and New Zealand where I lost almost everything I loved and created and then will return back to Norwich. 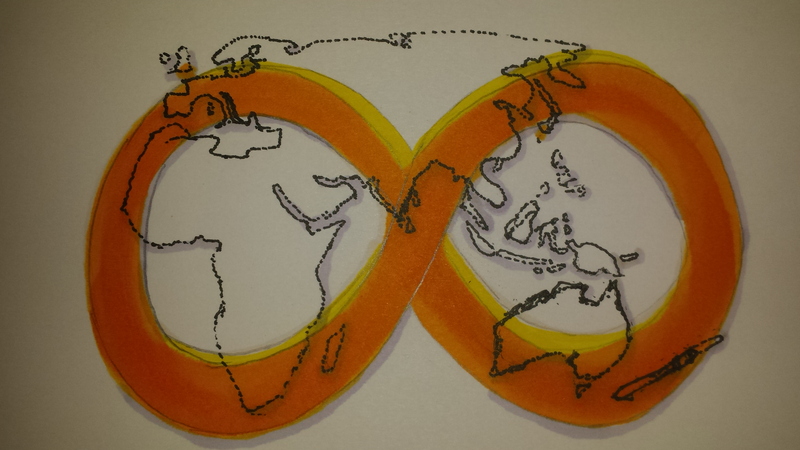 Why 'Global Infinity'? 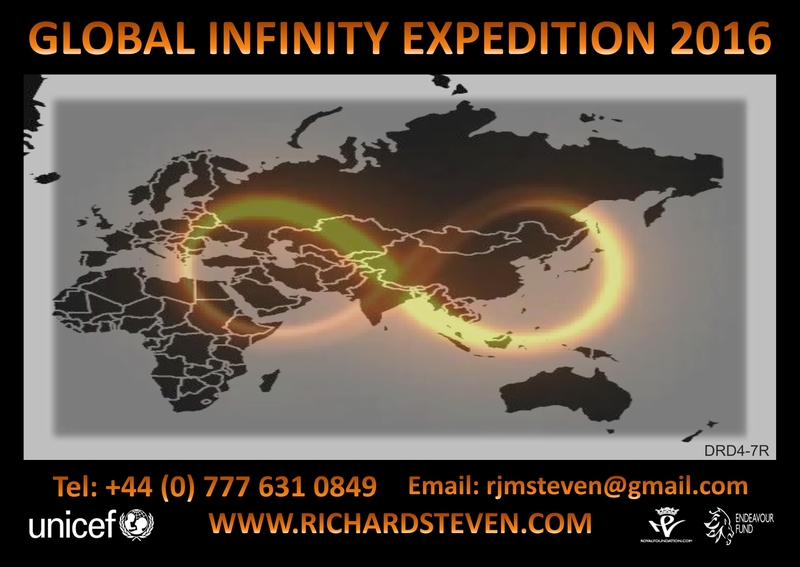 Because the epic trip is global and the route is similar to an Infinity Symbol.Simple! Please follow on twitter @rjmsteven and Facebook links at bottom of this page and feel free to SHARE and recommend sponsors and connections that will help me achieve this. To Donate to UNICEF select the options on the base of this page. Well he's off again! You can't keep this good man still. 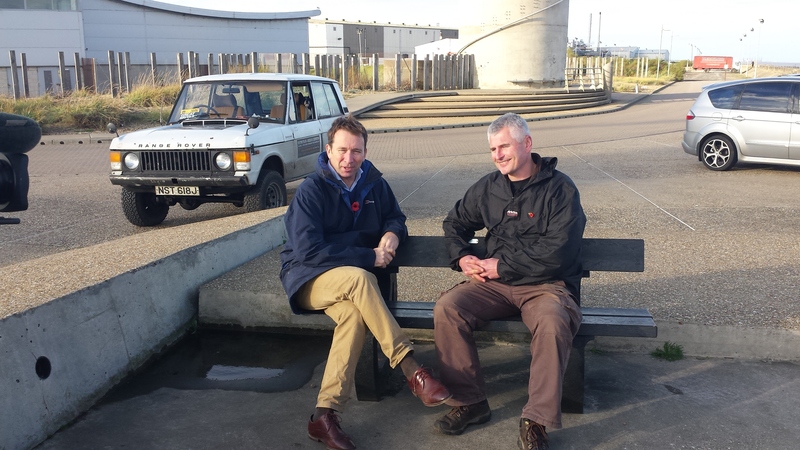 Richard Steven,former Urban Search and Rescuer of the infamous team in Christchurch, NZ, NZRT12(Integral in survivor searches during the earthquakes Sept 2010 to 2011),is now off on a circumnavigation of mainland Great Britain to commemorate 45 years of Range Rover. 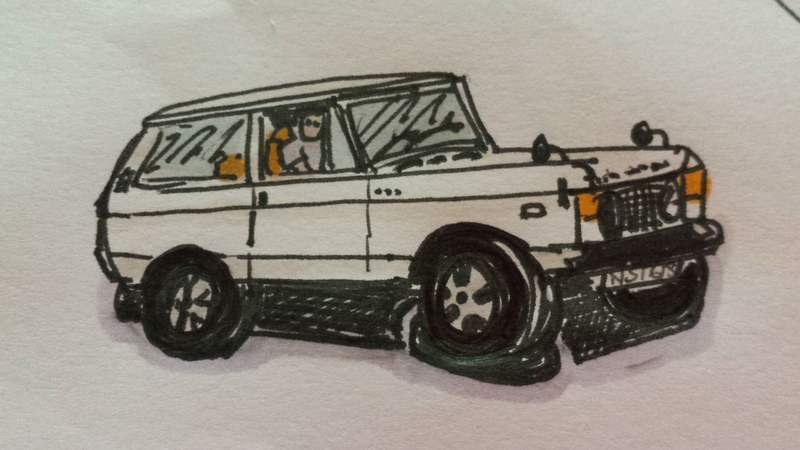 He's driving his 1970 Range Rover "Pearl" (chassis number 295A) anticlockwise around the coastline. 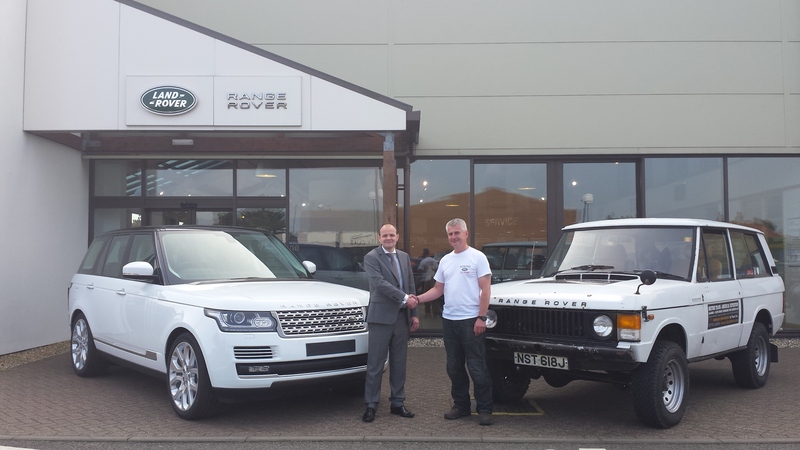 He set off from Norwich 4th October at midday after a send off from Norwich Land Rover dealer Hunters with a hand shake from boss Adrian Brooks.Richard's vehicle is one of the earliest made and was a proud moment to be parked next to the newest model equivalent. Richard set off on his charity fundraising adventure with his beloved dogs Jess and Sox who survived the earthquakes in their former home in Christchurch, New Zealand and endured traumatic separations when Richard was flown back to family in Norwich to recover after serious injuries he sustained while volunteering for Urban Search and Rescue only to further suffer from the debilitating effects of PTSD and as a result was unable to return home and the life he loved. Consequently his marriage broke down,he lost the dream home he had built,the thriving alpaca farm business he had developed from scratch, his collection of vintage high spec cars that he had renovated,amongst many other collections that were unable to join him due to lack of funds and had to whittle right down what he could keep as restricted by storage and steep fees.."It was completely and utterly devastating", he said. To add insult to injury, much of his belongings that were shipped never arrived from New Zealand. " I feel shipwrecked" he said. 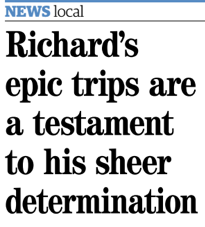 As a result of sheer courage,determination and true grit,Richard is not a defeatist and strives to prove his worth to inspire others in overcoming adversity. and constantly puts every penny he can and his time towards helping others and raising funds for his chosen charities UNICEF and The Royal Foundation. 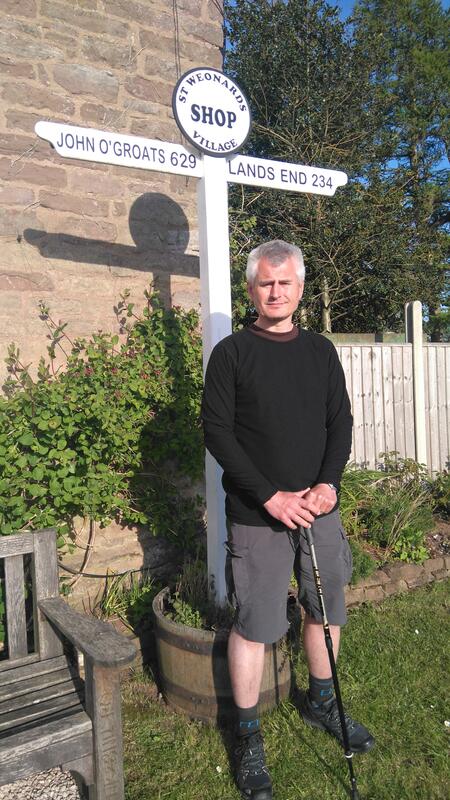 He is currently staying in a hostel, still with no base to call his own.He yearns to own his own boat so he can keep his dogs with him full time and run trips to help others in similar situations to find themselves again after trauma and loss. Well, he was promoting his next venture to raise funds for children of the Nepalese Earthquakes motorcycle ride on his Triumph Tiger to Nepal.No mean feat while coping with sciatica and chronic back pain but considering he managed to ride a V Max to the Arctic Circle last winter in heavy snow he is certainly no fair-weather rider!This has now been changed to the Global Infinity Expedition 2016 in the Range Rover. Richards next plans after GlobalIExp2016 for her are an historic Trans-Americas trip from Alaska to Tierra del Fuego across the Darien Gap in 2017. 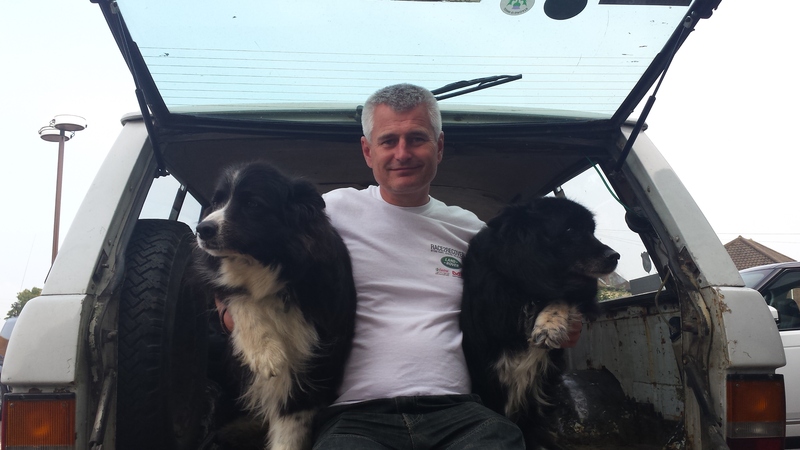 As with all his charitable adventures Richard welcomes sponsorship and support whether by sharing his posts,publicity, donations to his charities and donations to support his personal expenses and aspirations. Prospective volunteers for this demanding expedition should contact Richard to discuss suitability.Only the toughest need apply. Please check out the links for ways to contribute and support thank you. 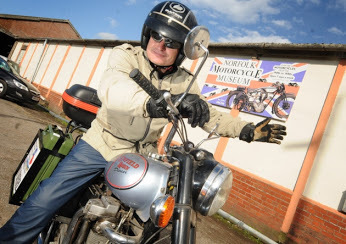 Richard's other challenges have included riding a Cyclemaster from Land's End to John O'Groats, the Great British Fish and Chip Run circumnavigating the coast of Great Britain on a Royal Enfield and V Max to the Arctic Circle in Winter! Riding a 1930s Humber bicycle fitted with a 32cc 0.6 BHP engine in wheel. 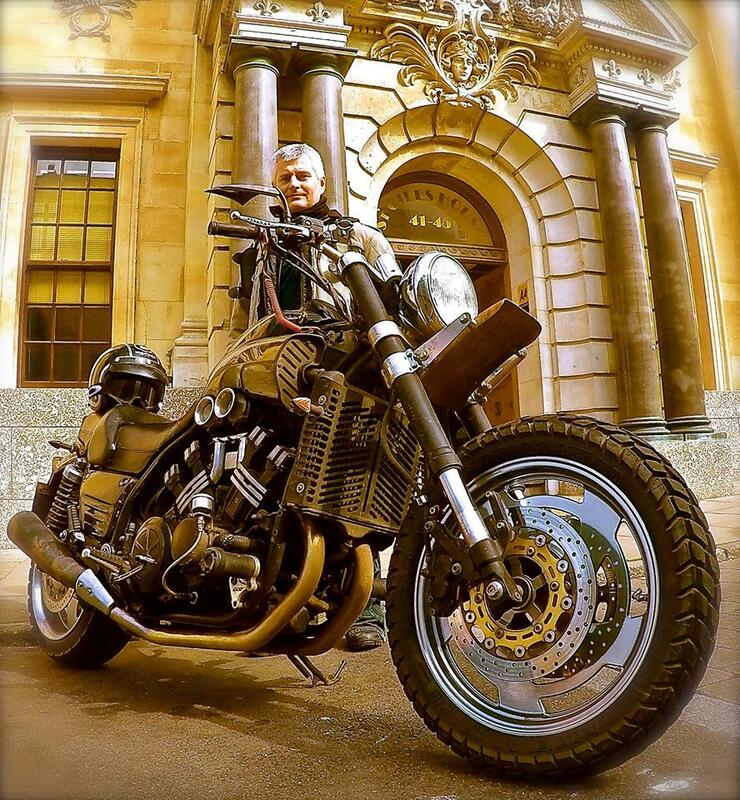 Took 54 days to ride from Lands End to John O’Groats repairing daily en route including rebuilding the engine, respoking the rear wheel, replaced with a 1950’sfront wheel after crashing in Taunton sustaining sgnificant injuries to left leg developing a DVT, unable to weight bear for several days.Hosptitalised. Sleeping in various locations benches roundabouts under playground slides and in a £12 tent. Pulling a trailer bought and built in Bodmin. With no money worked at the famous Jamaican Inn as a chef whilst living in a scrap yard while repairing the bike. Approached Berriedale Braes (notoriously difficult,steep and winding uphill road) pushing the bike uphill only to ride forward ten steps and roll back one with the brakes on full and having to do this 30 times atleast til made the summit pulling 100kg! Onto Orkney Island for the Orkney Classic Vehicle Show and onto Shetland Isles. Riding a Diesel Royal Enfield 425cc 8BHP motorcycle. 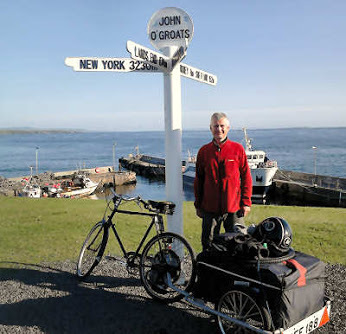 Circumnavigating coasts of mainland Great Britain, including Land’s End, Anglesey,Isle of Skye, John O’Groats and Dunnet Head(Most northerly point UK). 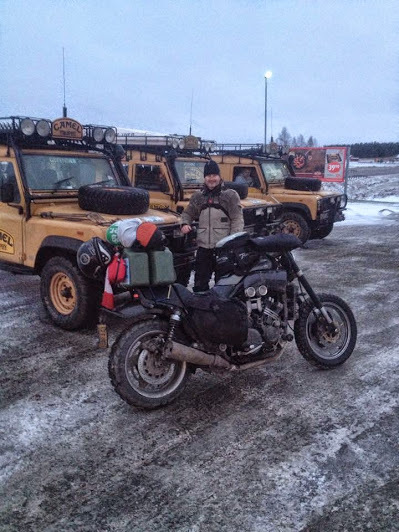 Riding through the floods,eating fish and chips every day and using bio-diesel and recycled chip oil when possible.Rode clockwise from Norwich, inclement weather meant wet through each day, coping with floods and landslides to reach target of Spean Bridge Commando Memorial on the 350th Anniversary of HRH Royal Marines on 28th October 2014. 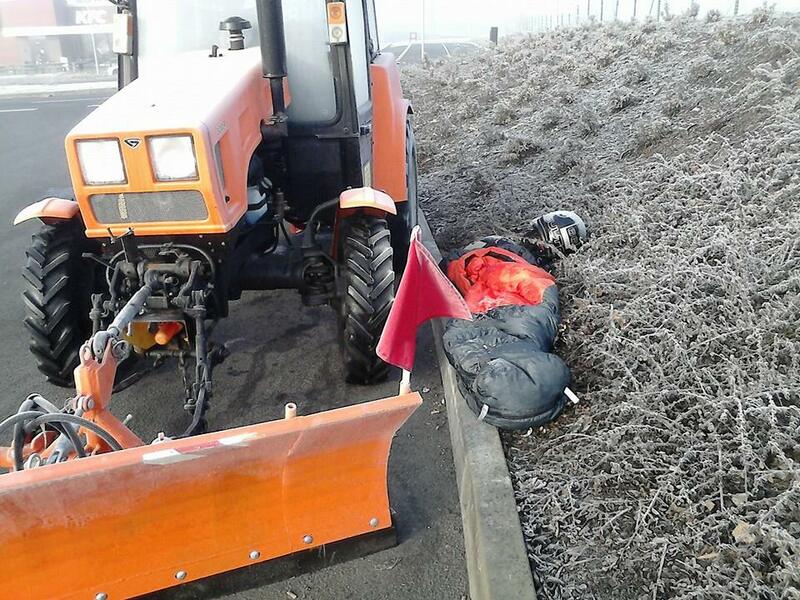 1200cc Yamaha V Max 160 BHPSet off December 7th 2014 just as front page press and TV broadcast Arctic Weather blasts UK.Returned February 15th 2015.Temperatures -55 degrees Celsius and below with wind chill factor wearing an open face helmet having to make do and mend every day. 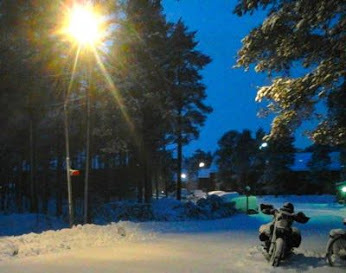 Riding on miss matchedEnduro tyres fitted in Sweden with 282 studs shot into them to help with riding in the snow and ice.The only motorcycle on the road since leaving the UK-for good reason!Christmas Eve developed hypothermia, frost bite to nose and frost nipped fingers as arrived at Rovaniemi, capital of Lapland and home of Father Christmas. He has been mentioned in several publications and articles and has been featured on radio. This man is never idle and he continues to push himself to the limits of endurance and courage in order to prove to himself and others that he will not be beaten by adversity to make the world a better place for others. 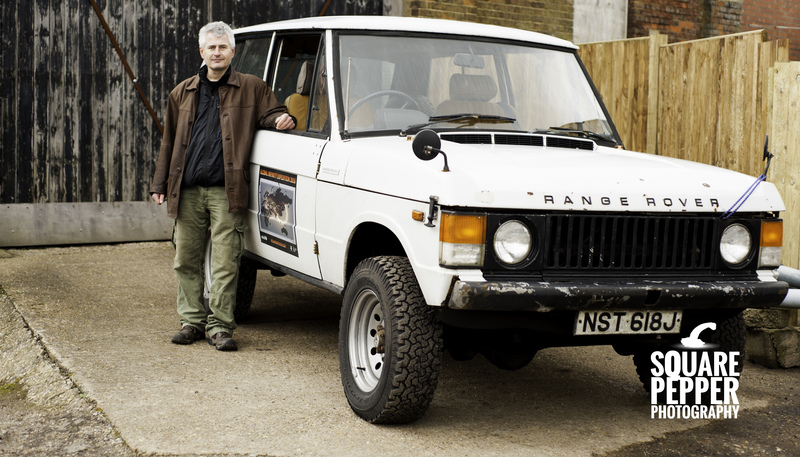 He has plans to renovate "Pearl" his 1970 Range Rover and prepare for the epic TRANS-AMERICAS ADVENTURE OF A LIFETIME in 2017/8 driving from Alaska in the north to Tierra del Fuego in the south, in order to complete the route started 45 years ago through the formidable Darien Gap, in the next couple of years. Sponsorship, donations and only the toughest volunteers need apply to be considered for this formidable journey.Contact Richard for more details. 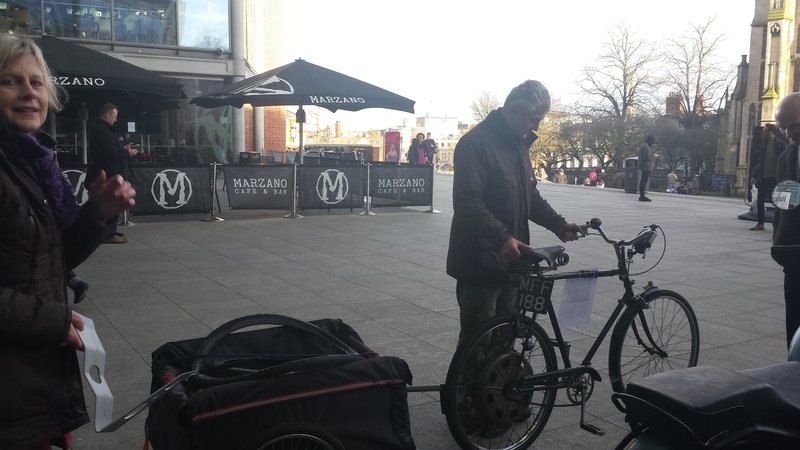 Your continued support and encouragement whether by donations, well wishes and sharing his endeavours are so welcome. 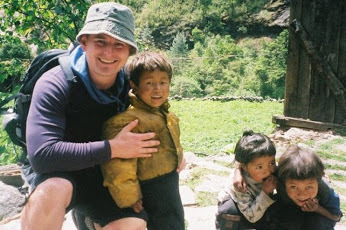 To support Richard on his missions and marathon drive, please click here to donate what you can towards his equipment, vehicle preparations,fuel and food,visas,etc. © 2015 to present Richard Steven.All rights reserved.